When sourcing developers on Google, use Boolean logic to find resumes and profiles. Our search strings examples provide a basis to build your own Boolean search commands. Modify them to recruit developers who can code in various coding languages and have been involved with projects similar to your company’s. When you use this search string, results will contain the words “resume” or “CV” in the page title. Adding variations of developer job titles provides more relevant results. And, excluding more terms reduces false positives. Add more criteria in your Boolean strings for developers to find profiles that better match your requirements. When sourcing EU candidates, please refer to guidance on using social media for recruiting and collecting candidate information as per the General Data Protection Regulation, or GDPR. Source and recruit Web Developers with more Workable’s Boolean search cheat sheets. Find the appropriate zip code ranges here and here. Looking for an all-in-one recruiting solution? 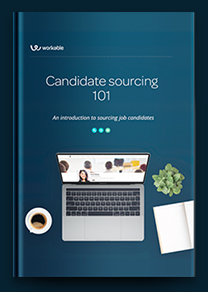 Workable can improve candidate sourcing, interviewing and applicant tracking for a streamlined hiring process. Sign up for our 15-day free trial today. Need a single platform to manage the hiring process? Workable is all-in-one recruiting software. Source and evaluate candidates, track applicants and collaborate with your hiring teams.